Meals on Wheels of Central Maryland invite you to Cirque de la Cuisine. 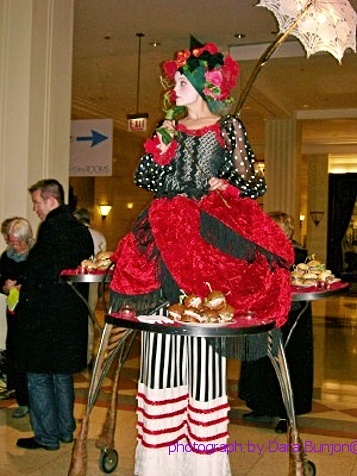 Stilt walkers, a one-man side show and gourmet cuisine from nineteen of Maryland’s finest chefs are yours to enjoy on Monday, April 29th at the Grand Lodge in Hunt Valley from 5:30 p.m. to 9:00 p.m. Think decadent desserts…yum yum, regional brews and fine wine … “A glass in the hand’s worth two on the shelf—Tipple it down and refresh yourself!”, music…tap your toes and the excitement of a live auction..